Rajasthan is famed around the world not just for its historic palaces and wealth of natural beauty, but also for its cuisine. 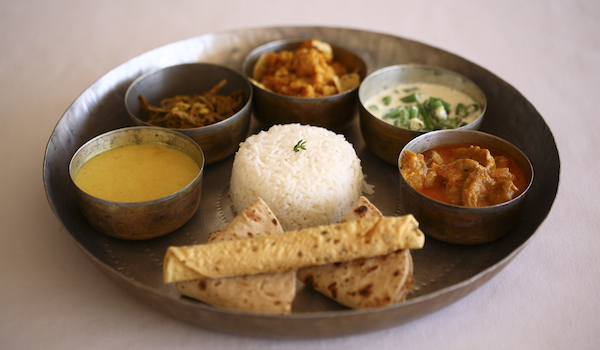 Including rich curries made from yogurt and buttermilk, spiced lentil dishes, and chilli-laced chutneys, Rajasthani cooking is beguiling, and an essential that every visitor to the northwestern Indian state should explore. Below, we’ve handpicked a selection of the best restaurants in Rajasthan, which combine authentic cooking with luxurious surroundings. Rajasthan’s capital and largest city, Jaipur is home to the Samode Haveli, a luxury hotel located within a haveli, or ornate, traditional mansion. The 200-year old landmark has within it, in addition to a gorgeous pool, courtyards, and elegant suites, a true fine dining destination. Within a room whose every inch is covered in frescoes, the restaurant serves up refined Rajasthani cooking. 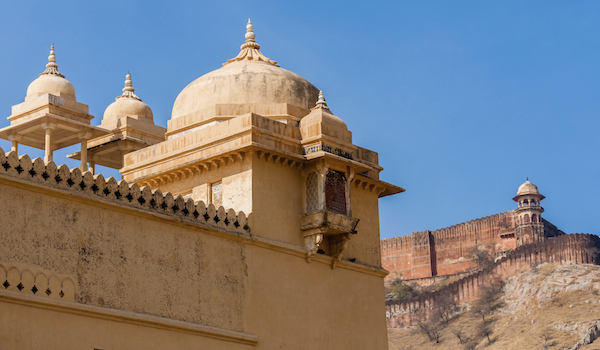 Opened by French art expert Hervé Vital and located just on the outskirts of the Amber Fort, the Mosaics Guesthouse is easily accessible from central Jaipur. Vital is also a mosaic artist, and the interiors of the hotel are decorated with colourful compositions. With just four rooms, the hotel offers visitors a personal experience, and dinner is no exception. While chefs at the restaurant here utilise ingredients from the local market in their traditional cooking, French desserts are a nod to the owner’s background. 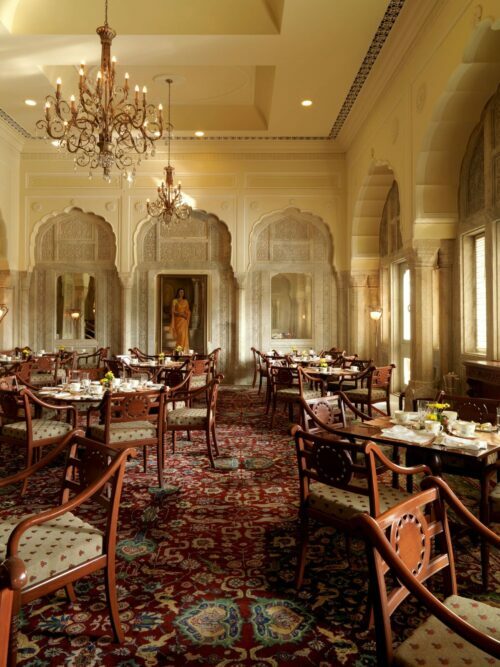 Just as the Rambagh Palace itself dates back hundreds of years, evoking the richness of Rajasthan’s royal past, so its restaurant, Suvarna Mahal, captures the best of traditional Rajasthani cuisine. Located in an opulent dining room that’s decorated with Italian crystal chandeliers, Indian silk and alabaster lamps, the restaurant’s menu includes local specialties like Dhundhar murg, which blends chicken with mango and saffron. 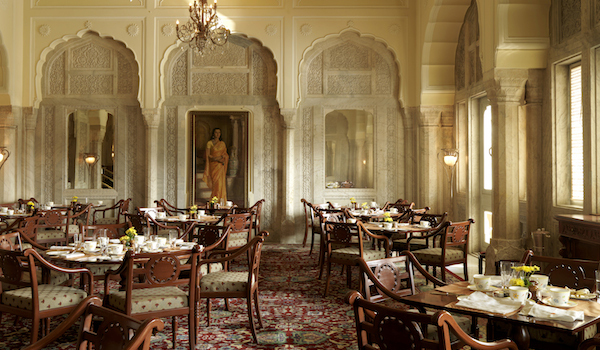 Located near to the Taj Mahal, the ITC Mughal is renowned for its classic Mughal décor and luxurious suites and rooms. One of the hotel’s primary highlights, though, is its Peshawri Restaurant. Specialising in traditional cuisine, including kebabs and tandoor-baked fare, the restaurant is at once sophisticated and deeply traditional. The Serai desert camp, comprised of 21 luxurious tents in the arid, beautiful landscapes of rural Rajasthan, is perfect for those looking to get away from it all. Just because of its remote location, though, doesn’t mean that you can’t find some truly accomplished cooking on-site. Making use of their organic garden, the hotel cooks up different Rajasthani dishes every night – guests can choose to sup in the dining tent, or can have a customised meal prepared for them specially. Non-guests are also welcome to dine with The Serai. In Jodhpur, known as the Blue City because of its stretches of sky-coloured buildings, the newly opened Raas Hotel is one of the city’s finest new places to stay. 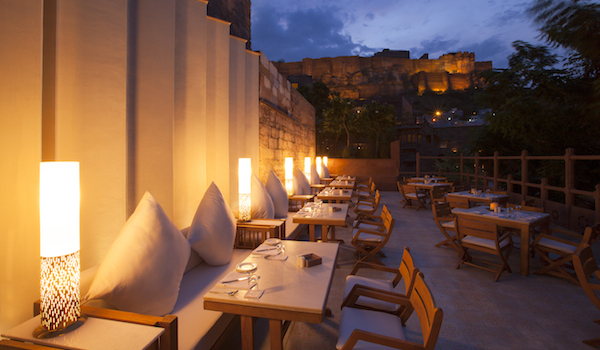 With up-close views of the fort, its terrace restaurant, Darikhana, is also an exquisite place to dine. The restaurant’s traditional fare is made special by the fact that its spices are sourced from a 200 year-old shop; seasonal dishes also make use of produce grown in the hotel’s own garden. 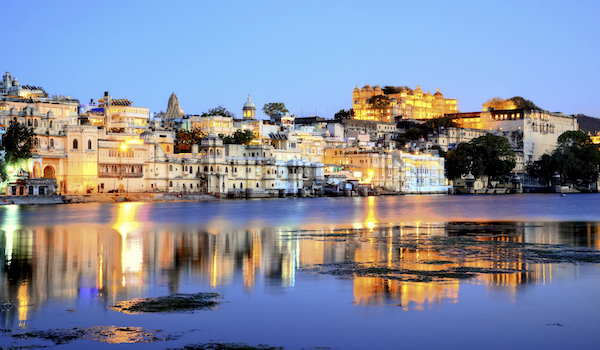 In Udaipur, the City of Lakes, there’s no better view of the glittering cityscape than from the terraces of the luxurious Leela Hotel. 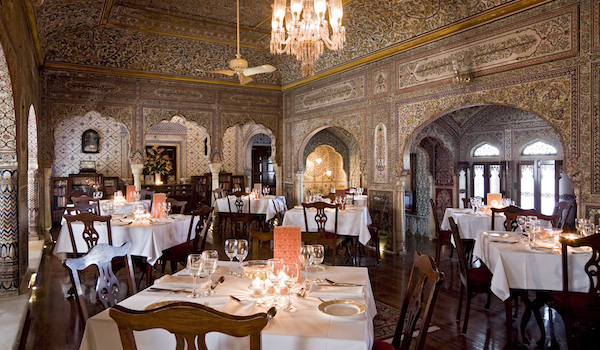 Located within a palace set right on the banks of Lake Pichola, the hotel’s restaurant, the Sheesh Mahal, offers diners one of the best views of the city. Its open-air balcony is a certified stunner, while its traditional menu is filled with spice. 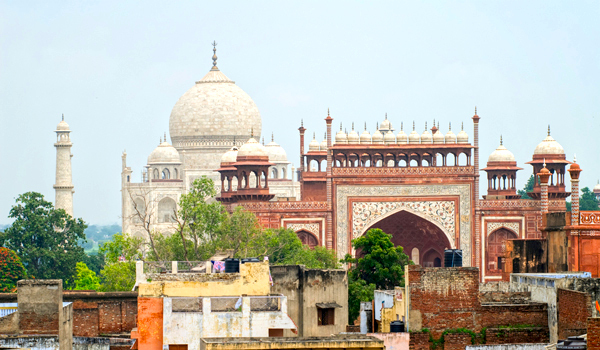 If your feeling tempted to visit the rich world of Rajasthan, you can view our itineraries featuring Jaipur, Heart & Soul of India and Udaipur, Jewels of India.